Liver cancers are one of the deadliest known malignancies which are increasingly becoming a major public health problem in both developed and developing countries. Overwhelming evidence suggests a strong role of infection with hepatitis B and C virus (HBV and HCV), alcohol abuse, as well as metabolic diseases such as obesity and diabetes either individually or synergistically to cause or exacerbate the development of liver cancers. Although numerous etiologic mechanisms for liver cancer development have been advanced and well characterized, the lack of definite curative treatments means that gaps in knowledge still exist in identifying key molecular mechanisms and pathways in the pathophysiology of liver cancers. Given the limited success with current therapies and preventive strategies against liver cancer, there is an urgent need to identify new therapeutic options for patients. Targeting HCV and or alcohol-induced signal transduction, or virus–host protein interactions may offer novel therapies for liver cancer. 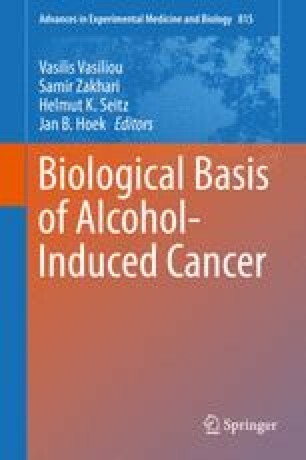 This review summarizes current knowledge on the mechanistic development of liver cancer associated with HCV infection and alcohol abuse as well as highlights potential novel therapeutic strategies.